Princess Yacht's highly anticipated R Class performance sports yacht, the R35 made its debut at the Cannes Yachting Festival in 2018. Princess teamed up with the world-renowned design and technology partners BAR Technologies to ensure the R35 delivers a new, intoxicating experience. In collaboration with BAR Technologies, Princess developed the ingenious Princess Active Foil System (AFS). Twin moving foils beneath the waterline provide improved dynamic stability, raise the performance bar and increase efficiency. AFS does not elevate the hull above the waterline like the America’s Cup sailing yachts. Instead, it uses the lift to dynamically adjust the heel and running angle, optimising ride and comfort. Incorporated in a small, dynamic sports yacht like the R35, the benefits of AFS are immediately and dramatically obvious. “We wanted to bring America’s Cup foiling prowess into the luxury yacht market in an entirely new way. 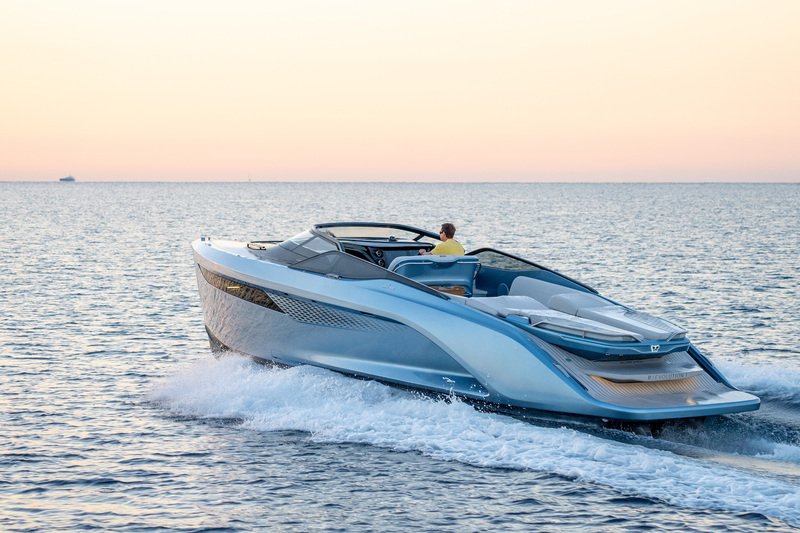 But the brief wasn’t ‘how can we include foils’ – rather it was ‘how can we build a hull that is noticeably more efficient, stable and faster,” said Paul MacKenzie, Product Development Director at Princess Yachts. 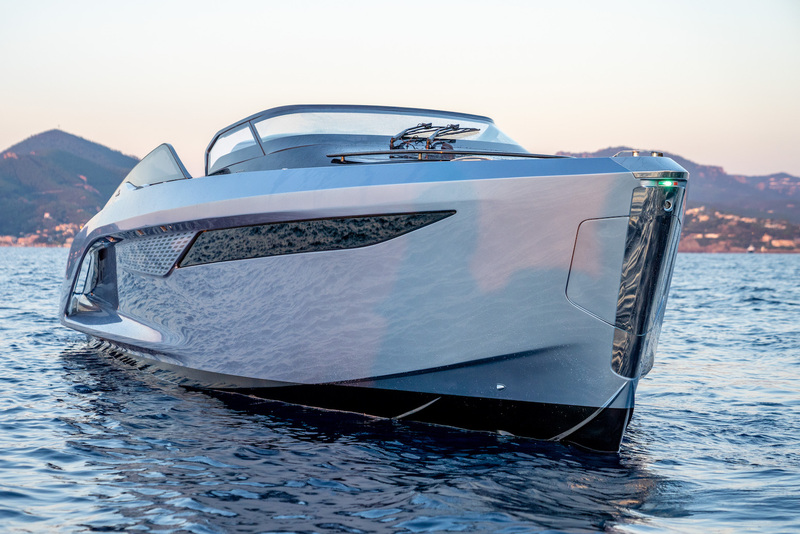 To fully exploit the carbon hull, the AFS system, and their combined performance potential, Princess has employed a state-of-the-art petrol engine. Robust, safe, compact and highly efficient, the engines provide a tangible boost in performance and excitement: another indication of Princess’s ambition to challenge perceptions at every turn. The smooth delivery of power in the R35 comes from twin Volvo Penta 430 horsepower V8 petrol engines. The engines are all aluminium and feature direct injection, variable valve timing and fully CNC machined intake and exhaust ports to provide exceptional levels of torque and responsiveness that safely power the R35 to an exhilarating 50 knots: the fastest-ever Princess. A beneficial power/size to weight ratio plus the efficiency of modern petrol engines made them the best choice and give the R35 its exhilarating top speed and responsive performance at all speeds – the boat will happily cruise efficiently at 25 knots. The 6.2-litre 430 is the most powerful of the next generation of Volvo Penta petrol engines, producing 14 per cent faster acceleration and ten per cent improved fuel economy over the previous model. It incorporates a combination of technical features perfectly suited to helping helmsmen make the most of the R35’s technology. Among these are closed-loop freshwater cooling, with no internal parts exposed to raw or salt water, and wideband oxygen sensors that optimise the engine for varying fuel quality and reduce carbon monoxide emissions by 95 per cent. “We challenged the perception that limits of performance had been reached for yachts – that there were no more tangible gains in the battle between stability and speed. Just like a race team, we looked for the competitive edge, the last tenth, the supposedly impossible performance gain. And our vision and ambition changed that perception and created the R35,” commented Antony Sheriff, Executive Chairman of Princess Yachts. Another key new partner for the R35 and Princess Yachts is legendary Italian styling house Pininfarina. The R35 may be an all-new boat but it has the head-turning look of a thoroughbred and clearly communicates its performance potential through its beautiful surfacing, functional air passages and strong, defining character lines. “We wanted to push the boundaries of what Princess – and our customers – understand our current design styling language to be. The R35 had to feel fluid, elegant and achingly beautiful. And make you glance back at it after 10 seconds every time you step ashore. 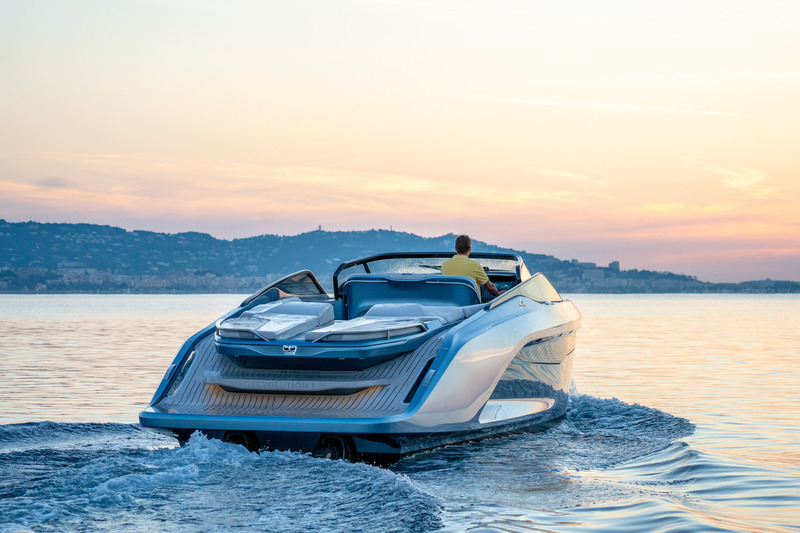 Above all else it needed to be recognisable and believable as the next generation of Princess yachts,” commented Andy Lawrence, Head of Design at Princess Yachts.